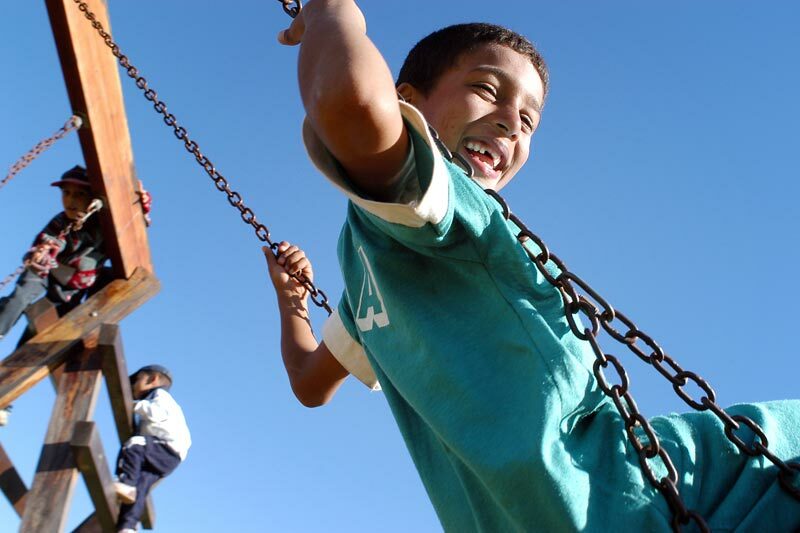 SOS Children's Villages has been supporting Morocco's vulnerable young people and children since the early 1980s. Although Morocco has made important steps with regards to child protection, thousands of children continue to face great hardships in their daily lives. Child trafficking and high rates of child poverty and illiteracy, particularly in rural areas, are major problems that need to be tackled. At present there are in Morocco five SOS Children’s Villages, three SOS Youth Facilities, three SOS Kindergartens, two SOS Hermann Gmeiner Schools and six SOS Social Centres. SOS Children’s Villages is in need of child sponsors for its Villages in Morocco. SOS provides long-term family based care for children in need and the funds raised through child sponsorships helps provide each child in our care with all the necessities of a loving, safe and healthy childhood. Canadian's wishing to help orphaned and abandoned children in Morocco are encouraged to sponsor a child. Please sponsor a Moroccan child today. Child sponsors will receive a Canadian charitable tax receipt. The work of SOS Children's Villages in Morocco began in the 1980s. We started working in the country in 1985 and only one year later, the country's national SOS Children's Villages Association was officially founded. In February 2004, a terrible earthquake caused massive destruction in the El Hoceima region. Thousands of people lost their homes and around 600 died in this tragic event. Our organisation decided to start an SOS Emergency Relief Programme to provide shelter, food, blankets, medicine and other things that were desperately needed by the people. In 2004, SOS Family Strengthening Programmes were initiated in Casablanca and in Dar Bouazza. Via these programmes, we aim to strengthen existing family ties and to enable children who are at risk of losing the care of their family to grow within a caring family environment. At present, SOS Children's Villages is supporting young people and children in Morocco in five different locations, providing day care, education, medical assistance and vocational training. Morocco is a constitutional monarchy located in North Africa. The country is governed by an elected government, with the King holding major executive power. The country's capital is Rabat, although Casablanca continues to be the largest Moroccan city. For many years, Morocco was subject of rivalries between European powers. The Spanish occupied the country's northern part in 1860. Only around five decades later, in 1912, the French gained control over vast parts of the country. That same year, the "Treaty of Fez" was signed and Morocco thus divided into a French and Spanish protectorate until it finally gained full independence and sovereignty in 1956. Morocco experienced devastating terrorist attacks in 2003 and again in 2011 when a bomb exploded at a tourist café in Marrakesh, leaving 17 people dead. Economically, it benefits from low labour costs and its proximity to Europe. The country is one of the largest exporters of phosphate, a raw material that has secured economic stability over many years. In 2011, thousands of Moroccans protested in the streets of the country's major cities, demanding greater civil liberties and democratic reforms. Roughly 30 per cent of the country's population live in poverty - an estimated 3 million of them reside in rural parts of the country. Around 40 per cent of the population do not know how to read or write. In Morocco, nearly 30 per cent of the population are less than 14 years old. Many children are affected by rising levels of poverty and child neglect. Over recent years, the country has introduced a number of campaigns to tackle the problem of child labour. Nonetheless, thousands of children continue to be subjected to exploitative practices. Minors who work in agriculture or domestic service often work in precarious conditions where they have to use dangerous tools and equipment, are exposed to chemicals and high levels of noise. Their physical and mental development is at stake. While boys traditionally work in agriculture, girls are often forced into domestic servitude in exchange for money. Many girls experience sexual and physical abuse and are not allowed to leave the house. Child prostitution has also been reported, particularly in Azrou, Beni Mellal, Meknes, Casablanca and Marrakesh. The majority of working children do not receive an education. Without an education, many of these children will face grave difficulties once they become adults. The number of Moroccan children who live in the street has been growing. Although exact numbers are unknown, it is estimated that tens of thousands roam the streets of the country's urban centres, particularly in the cities of Casablanca, Marrakesh, Fes and Meknes. According to UNICEF, 6,480 children in Morocco were abandoned at birth in 2008. Because of strong social stigma, many single mothers fear ostracism by their families and society. In total, around 650,000 children in the country have been orphaned and grow up without the care and protection of their parents. Thanks to a number of programmes and initiatives, the country's infant mortality rate has dropped significantly since the 1990s and is now at 33 per 1,000 live births. However, 15 per cent of all babies are born with low birth weight and around 10 per cent of under-fives are severely undernourished.